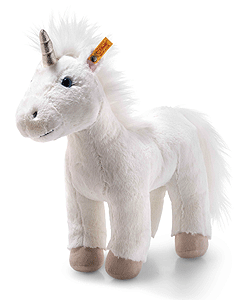 The 35 cm tall Soft Cuddly Friends Unica unicorn has bean bags sewn into her beige hooves, so that she can stand up. 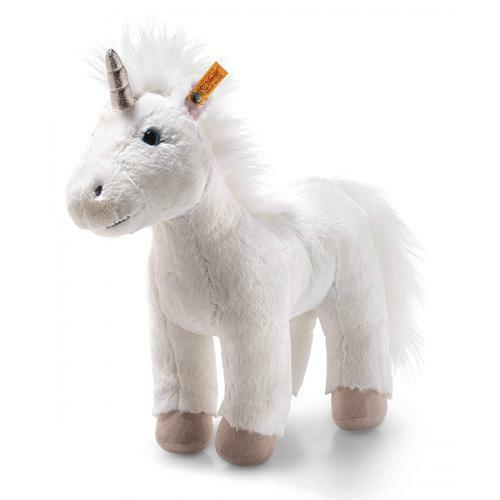 She is made of soft and cuddly, white plush fabric and has three elaborately embroidered stars on the right side of her hindquarters in a shiny beige. 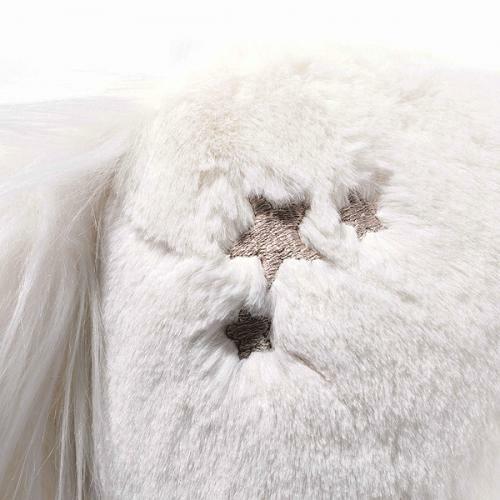 The eyes are blue, the nostrils are embroidered in grey and the inner ears are pink. Longer plush fabric is used for the white mane and tail. 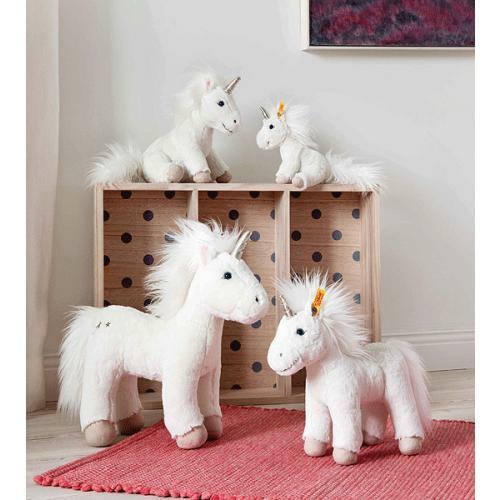 An extraordinarily beautiful cuddly toy which is sure to rouse the imagination of your child and make for a playing experience that is full of ideas.